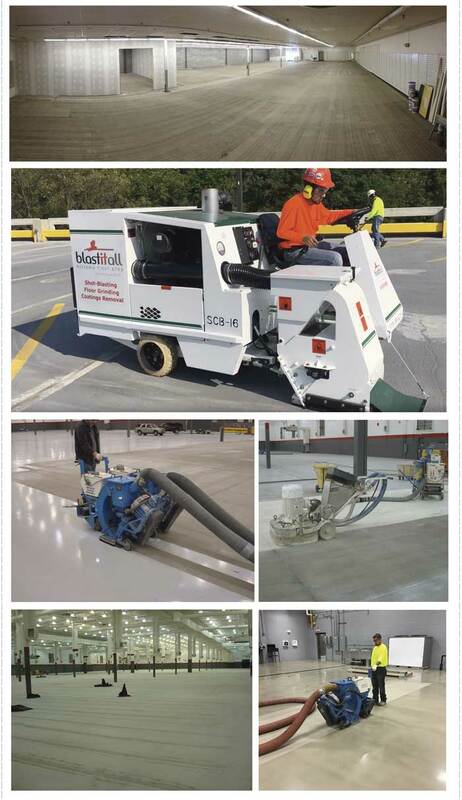 Shot-blasting is our one-step method for stripping off glues & coatings, and cleaning and profiling surfaces in preparation for coatings and floor overlays. Our shot-blasters can perform surface preparation tasks ranging from very light etching to more aggressive removal of surface mortar down to coarse aggregate - we literally get you down to the bare concrete. Blast It All has a fleet of ride-on shot-blasters that can shot-blast up to 50,000 sft/day or more. On a tight schedule for an even bigger project ?